In order for your students to participate in the Competency-Based Mathematics program, the Institute for Academic Outreach must have a current contract on file for your school. To receive a contract, please contact the Institute for Academic Outreach at institute@truman.edu or 660-785-5384 and ask for a Contract Initiation Form (or click the link here). After the Contract Initiation Form has been completed by your school’s principal or superintendent and returned to the Institute for Academic Outreach office, a contract will be drafted and sent to the school for the principal’s or superintendent’s review and signature. 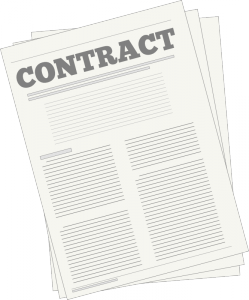 After the signed contract has been returned to the Institute for Academic Outreach, a Registration Packet document will be sent electronically to the person listed as your school’s primary contact on the Contract Initiation Form.